Sylhan is uniquely qualified to satisfy your industrial refractory metal component requirements. As an AS-9100D registered business, with streamlined third-party logistics, you get your parts produced and delivered on time, every time. We’re always ready to efficiently manufacture and ship high-quality furnace, metallurgy, crystal growth or any other industrial components to you in accordance with your budget and schedule. Matching, and then exceeding expectations are of the utmost importance when working with a client and our industrial components speak to our focus on customer satisfaction. Sylhan possesses the skill and knowledge to manufacture high-quality industrial components that our clients depend on. Sylhan is able to assist customers with industrial applications requiring refractory metals, such as tungsten, through fast prototyping and a combined experience and knowledge of applications and properties. We manufacture critical components for industries that require high heat and creep resistance such as foundry applications, metallurgy and crystal growth. Our expert team has experience developing and producing parts for metal transfer, horizontal and vertical channel induction furnaces, pouring ladles and resistance rod furnaces. 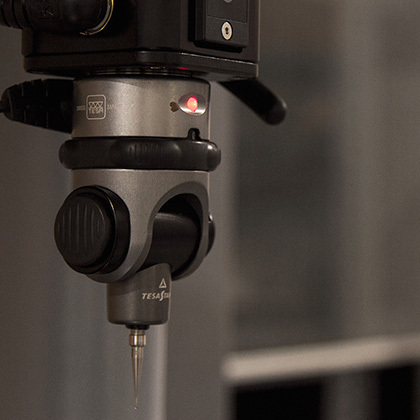 We consistently review our process, implement changes and improving machining tolerance, which leads to an increase in customer yield and a decrease in cost. We use state-of-the-art technology, which allows Sylhan to produce many challenging designs and provide deep value for our customers. Refractory metals such as molybdenum and tungsten are widely used in industrial applications due to their high resistance to corrosion, heat and creep characteristics. At Sylhan, we use our skill and years of knowledge of refractory metals to be the manufacturer of choice for high-quality industrial components, such as crucibles, liners, seed chucks, charge tubes, baffles, tungsten pins, ribbon dies, moly wire, heat shields, fasteners, electrodes, hot runner nozzles and high temperature furnace components, with reliable, extended lifespans. Sylhan’s legacy is in producing zero-defect refractory metal components for our customers is the electronics and semiconductor industry, including components for applications such as data storage, arc lamp systems, heat sinks and flat panel displays.